DALLAS, Oct. 10, 2018 /PRNewswire/ — Re-Teck, a subsidiary of Li Tong Group with regional facilities located in Grand Prairie, Texas, joined over 450 individuals representing multiple nonprofit ministries across the Dallas-Fort Worth Metroplex for dinner last week. 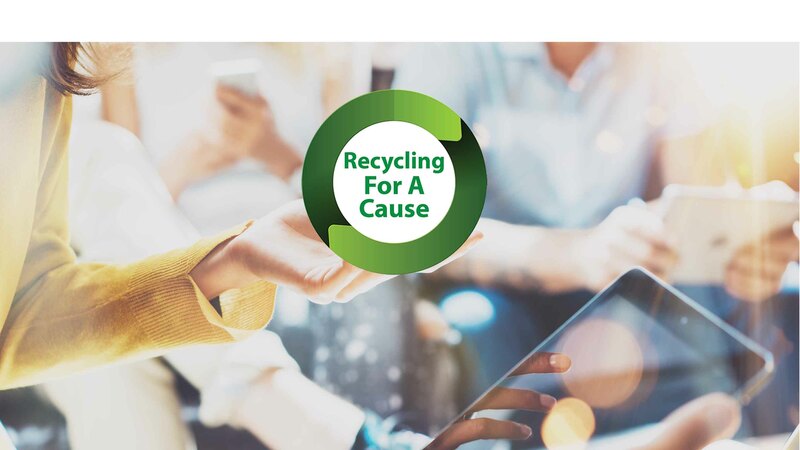 Re-Teck shared how their Recycling For A Cause program can help provide much needed funding for charities and special ministries like the ones that provide clean drinking water and shelter to children in the United States and around the world. Re-Teck supplies recycling bins at businesses, restaurants and organizations where their members, employees and customers can donate used electronics that otherwise might end up in a landfill. Re-Teck then collects the donated electronics which include: smartphones, tablets, laptops, drones, gaming devices, headsets, etc. The used electronics are then repurposed or recycled. Revenues from this process are shared with the charities, while simultaneously eliminating harmful e-waste from our environment. It’s part of creating a circular economy. Businesses and nonprofit organizations interested in learning more about how they can turn obsolete electronics and equipment into new revenue streams can visit www.re-teck.com. Re-Teck is a subsidiary of Li Tong Group (LTG). LTG is the global market leader in Reverse Supply Chain Management (RSCM) solutions for OEMs, enterprises, government, and consumers for the reuse, remanufacture and recovery (3R) of both Post-Industrial Recovery (PIR) and Post-Consumer Recycling (PCR) and hi-tech products and components including mobile devices, smart devices, big-data network and telecom equipment. In the past 18 years, LTG has developed a global network of 20+ wholly owned facilities across North America, APAC, EU, MEA and Latin America, which currently serves more than 100 customers and employs more than 1,200 people worldwide. It has an extensive patent portfolio for innovative methods and automated systems of digital processing and reclamation technologies.